Size : 31 inches blade approx. Our authentic copy of this officers' sword was made, because original pieces are difficult to obtain and rather expensive. It is factory new with its straight blade etched in detail as the original. It has a solid steel scabbard with brass furniture. 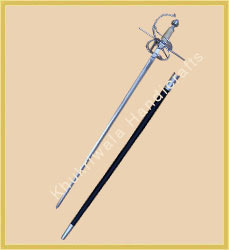 Its hilt carries the emblem of the 2nd life guards, a famous royal regiment. Size : 34 inches blade approx. Fitting: brass and wooden fitting. 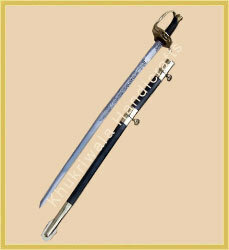 We are recognized as the leading entity of optimum quality Cavalry Sword. Buy cricket spikes, indoor cricket shoes and bowling boots by the finest manufacturers of cricket footwear on the market. The "Gardes du Directoire" become in 1797 the "Horse Grenadiers". They join in the Imperial Guard in 1804. Their uniform is almost the same than the Foot Grenadiers, with their typical fur hat.